Now we're ready to start drawing, but first.... The main item you'll need to start to draw is a writing implement. Any writing tool will work, but you're just beginning to learn and you might make mistakes, so we want something where you can start over again and again - in other words - ERASE! So a pen isn't the tool for you. "But they make pens with erasers" you say? Come on, let's be honest - those things don't erase the ink, they just chew the paper up so badly you can't see the pen marks any more. What we're talking here are PENCILS! Good ol' grade school pencils. OK, not really. The pencil you most likely used in grade school was a No. 2 pencil, and since it is a pencil, it can be used to draw, but yuck, it's not very "artistic", it's so "academic" - don't you think? So, what's the difference between the types of pencils? The difference is seen in the type of lead is in the pencil. Most pencils use a system that gauges the hardness (written as H) of the lead to how black the mark the lead makes (written as B). Back in the day when they were deciding on what pencil people wanted to use most, they went with a middle of the road pencil - not too hard (H) and not too black (B) - that pencil is the No. 2 pencil that we all know. The No.  2 pencil is also known as an HB pencil, and the HB pencil is the middle of the hardness to blackness scale. The hardest lead in a pencil is a 9H pencil, the middle lead is HB (or No. 2), and the blackest lead is a 9B pencil. Here is a visual of what several pencil leads look like. This image is life sized so you can see the quality of the various lines. I smudged a part of each of the straight lines so the hardness or softness of the lead can be seen. 4H and H don't smudge hardly at all, but the line is too light for me. Remember, another name for the HB is the No. 2 pencil. 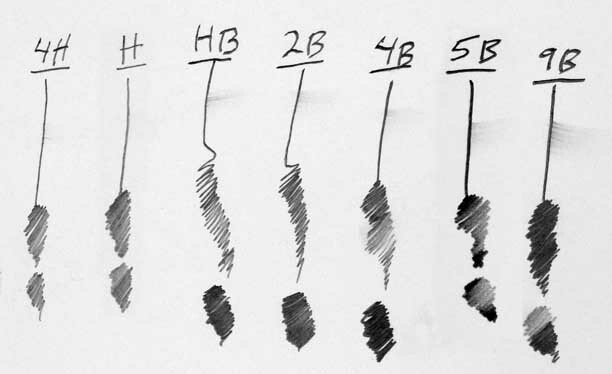 Personally, I like the 5B for it's dark line and it's medium ability to smudge. The 9B is nice and black, but it's too smudgy. When I draw I like my pencil to make very dark lines, so I tend toward a 4B or a 5B pencil. That's what I use when I feel like I'm going to be erasing some of what I'm drawing. But when I do my caricature work, either when I'm drawing the person live or from a photograph, I oftentimes will use a black colored pencil. I get a very dark line that doesn't erase because the core of the colored pencils I like aren't graphite, they're a pigment. But for the artist who is learning the first steps in drawing, a No. 2 is fine, but I would suggest 4B or 5B when you get more confident in your artwork.